Action Bronson is always on the grind, this feature in Jared Even‘s new video for “Pro Create” goes H.A.M., “Compliments To The Chef” is now a cult classic. 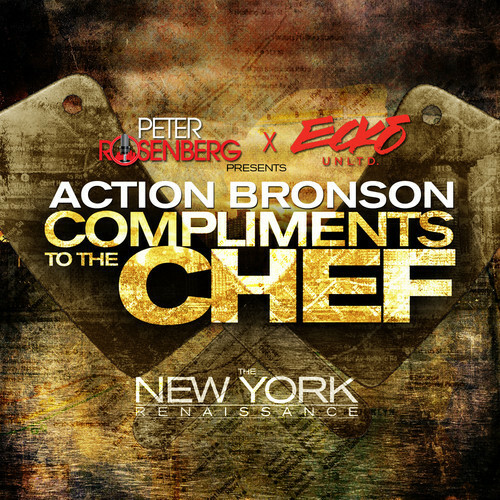 He got Peter Rosenberg and Ecko Unlimited featured on The New York Renaissance mixtape, Bronson does what he does best; name checks various foods with sexual innuendos sprinkled over the top of it “Two in the pink/ Two in the stink.” Playing two different songs mixed in to one, the chorus on the Harry Fraud produced joint stands out as the track’s strongest point – Lauriana Mae drops some beautiful vocals. This is an oldie (by today's standards) but still relevant in underground HipHop.